So excited for the 4th! 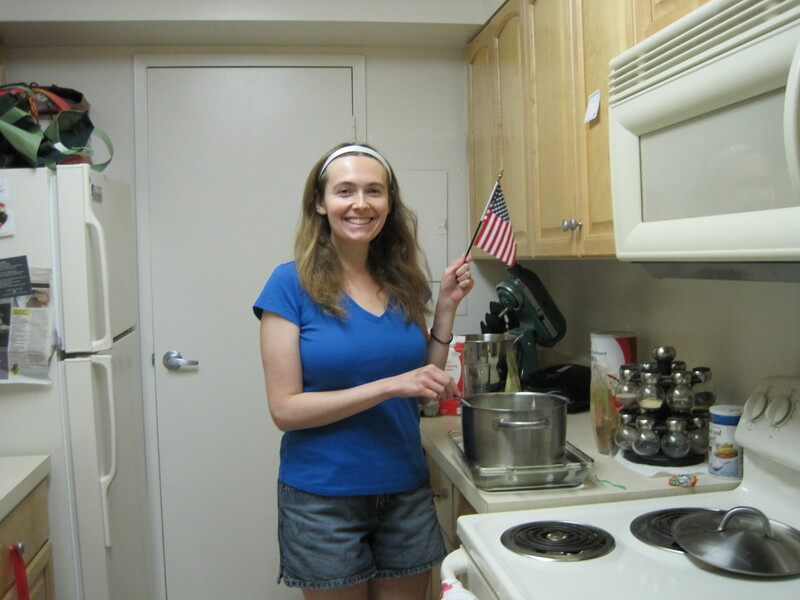 Happy (almost) Fourth of July!!! As some of you may know, this is one of my favorite holidays. Why, do you ask? 1) Growing up, my siblings and I always decorated our bikes for the neighborhood contest. Sadly mine never placed. Apparently bikes dressed like killer whales were not considered festive. 2) It’s an excuse to watch 1776, a highly entertaining musical about our forefathers attempting to write the Declaration of Independence. 3) Ice cream. Lots of ice cream. 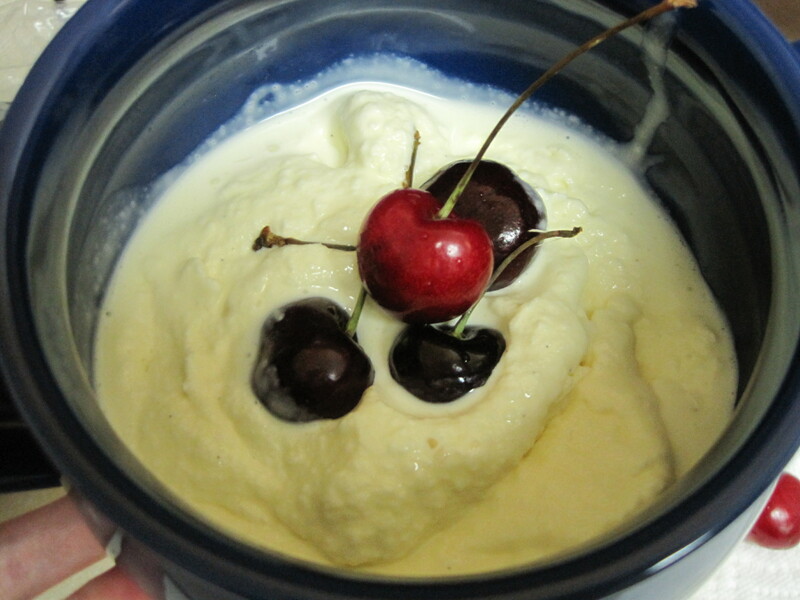 5) Thomas Jefferson’s ice cream. Ice cream has been around for centuries, but is not as old as you may think. Today, a bag of ice is only a drugstore away and costs a dollar. Throughout most of human history, however, ice was a symbol of status and wealth, a precious resource that few could afford. In ancient Greece, ice and snow were gathered from mountains and rivers, and stored in underground caves to keep beverages and foods cold. Alexander the Great was said to have kept such a pit. Eventually these “icehouses” spread across Europe as a means to store perishable food. In England (boo British! ), these houses became quite elaborate in architecture, often resembling a Greek temple. The downside of the icehouses was that they could only keep things cold. It was not until the 16th century that Italian scientists discovered that they could freeze liquids using saltpeter or salt mixed with ice. I was never very good at chemistry, but in simple terms, the reaction of the salt with ice lowers the freezing point of the ice, and the heat shifts away from the liquid mixture, causing it to freeze. The Italians used this method to freeze wine (and you thought wine coolers were new), juices, and flavored waters. 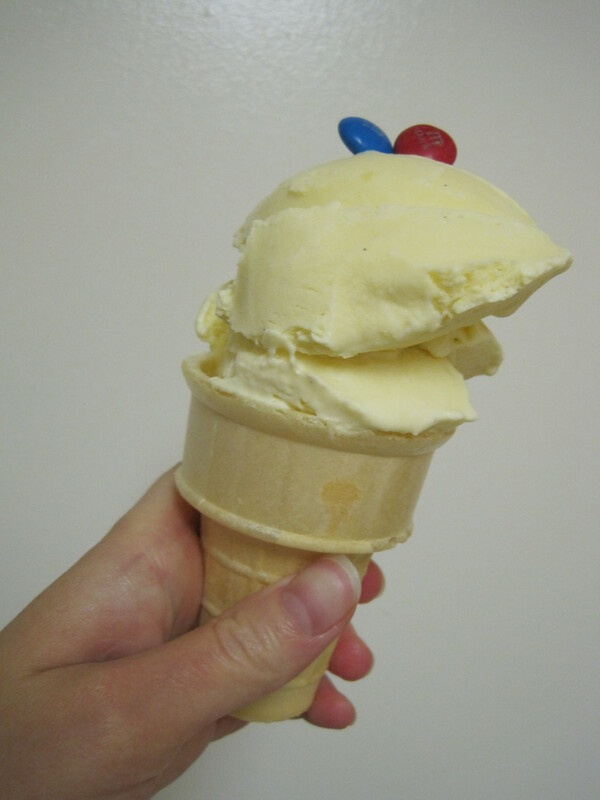 Eventually ice cream was born with the incorporation of egg custard-based mixtures. Some ice creams were even savory, with flavors like asparagus being quite popular. Yet the dish remained a food of European nobility. Jefferson’s Vanilla Ice Cream,1780’s. Library of Congress. In the years following the American Revolution, Thomas Jefferson served as Ambassador to France, where he picked up all sort of French culinary creations, including such as ice cream. Jefferson was not the only Founding Father who was fond of ice cream. George Washington had his own ice cream maker too. Jefferson is, however, credited with being the first American to write down a recipe for ice cream. That recipe is 1 of only 8 of Jefferson’s handwritten recipes in existence, and is housed at the Library of Congress. 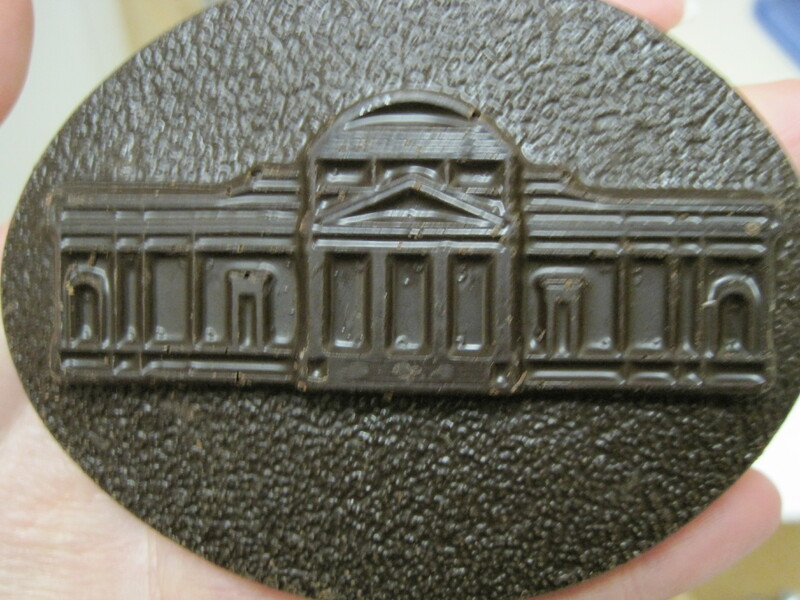 Maggie brought me a dark chocolate Monticello from her trip! Too pretty to eat. But if I must, I must. When Jefferson entertained at the White House or in his home at Monticello, meals usually included an ice cream, as guests described in their accounts. Often the ice cream was served in molded shapes, as was the European trend during the 18th century. His ice cream was likely prepared by his slaves using a sabotiere, an early wooden ice cream maker of sorts. The process was labor intensive, and the ingredients were expensive. Ice was still hard to transport, and only wealthy men with special storage cellars and access to harvested ice from rivers and ponds could keep ice. Ice cream remained a dessert for the wealthy until the mid-nineteenth century, when innovations in ice cream machine design and easier access to ingredients made the treat more democratic. But that is another story, one that I promise to tell in a future entry. This week is all about TJ. At the National Portrait Gallery! 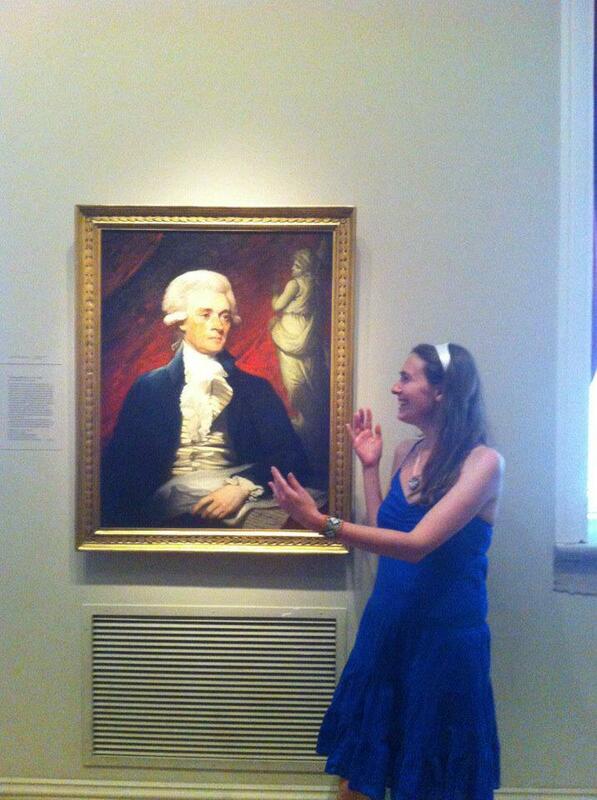 If I could dine with anyone throughout history, Thomas Jefferson would win, hands down. A true renaissance man, Jefferson was an architect, lawyer, farmer, diplomat, inventor, writer, philosopher, scientist, and food connoisseur. He was also, very much so, human: he kept slaves even as he called for an end to slavery, and had many affairs after the death of his wife, Martha. Despite her shortcomings, his words helped transform a group of angry colonists into a nation. Those words became so immortal that centuries later, we still consider life, liberty, and the pursuit of happiness to be ideals at the core of being Americans. So let’s be happy…with ice cream! Quinzio, Jeri. Of Sugar and Snow: A History of Ice Cream Making. California, University of California Press, 2009. 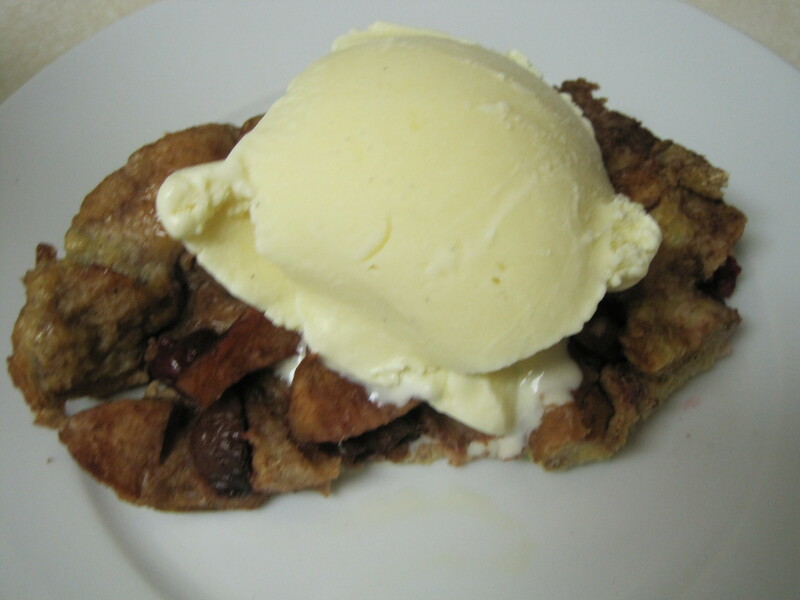 Smith, Andrew, “Ice Creams and Ices.” The Oxford Companion to American Food and Drink, ed. Andrew Smith, 312-315. New York, Oxford University Press, 2007. As my family and friends know all too well, ice cream is my fix for just about everything. If I’m grumpy or upset, they know to get me ice cream ASAP. It’s a pretty good system. Of course, my motherland of Wisconsin has the best ice cream in the world, but this is pretty delicious too. Therapy in a tub. 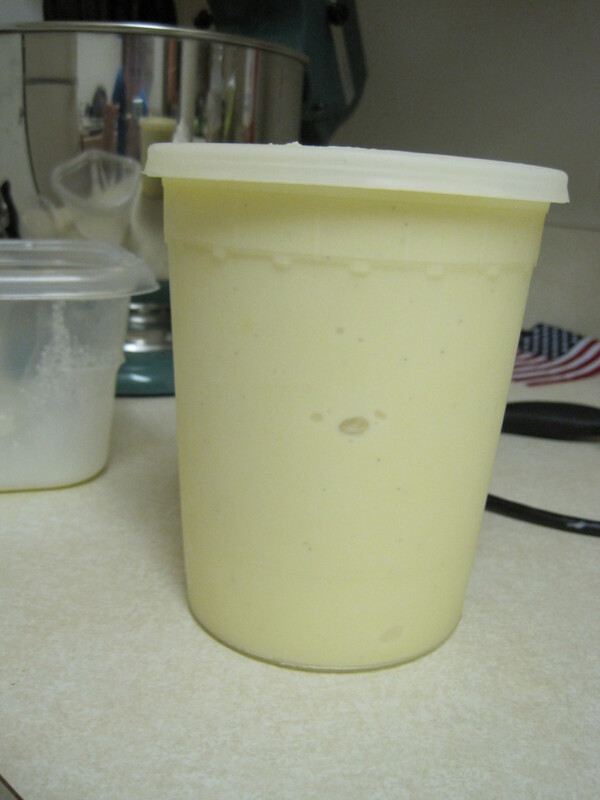 This quart is about half of what this recipe makes. 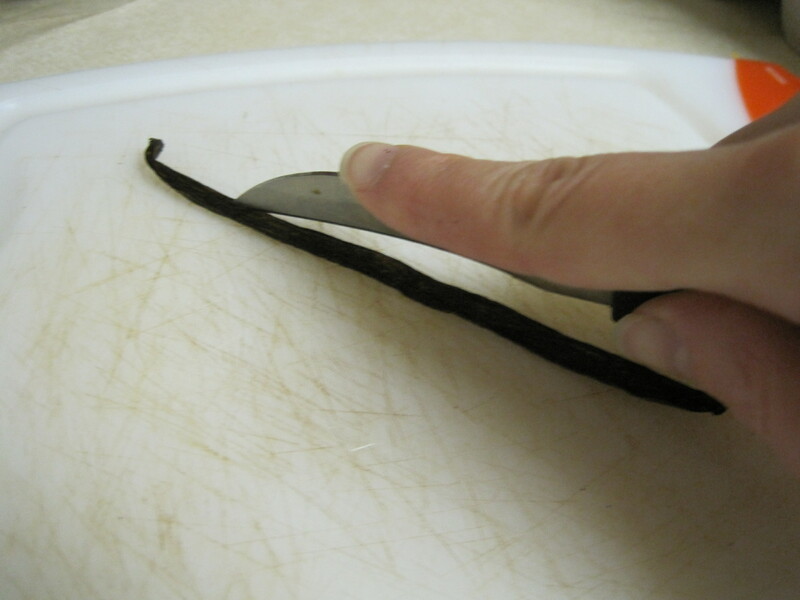 *Vanilla beans are quite expensive, so you could also use 1 tablespoon vanilla extract. I was lucky because my friend Jess brought me some vanilla beans when she was volunteering in Uganda last year. I opted to use one vanilla bean and ½ tablespoon vanilla. 1) Add cream and sugar to a 4 quart pot and cook on medium heat. Add vanilla. 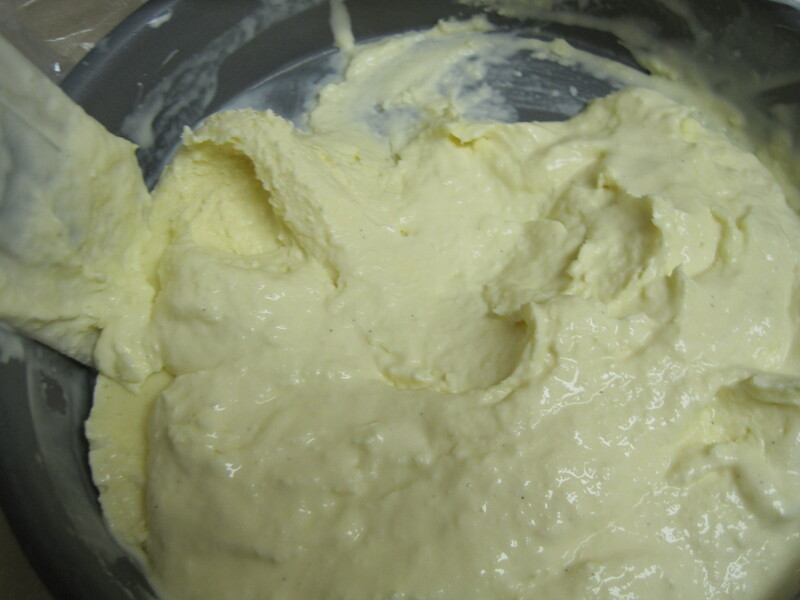 2) In a small glass bowl, add egg yolks and one cup of the cream mixture. This step helps prevent the eggs from cooking-because omelettes are good, but not in ice cream. 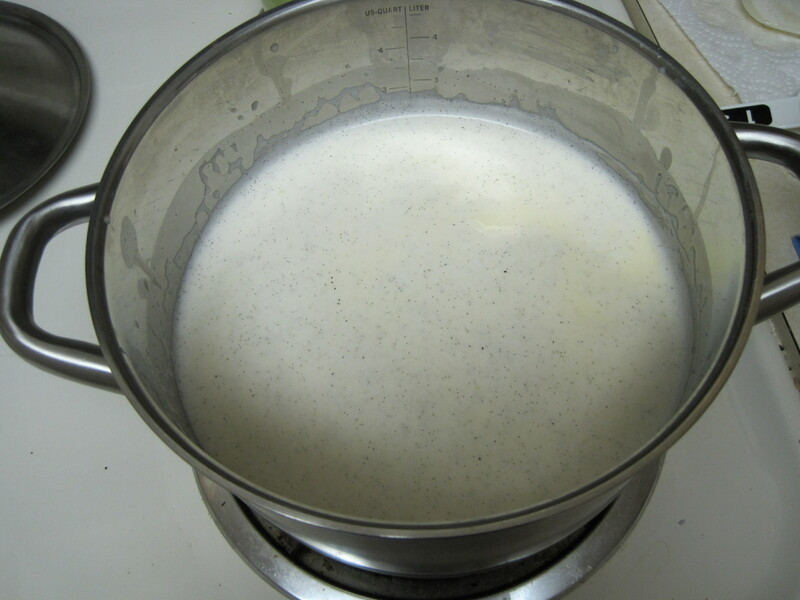 3) Pour egg mixture into the pot with cream, and cook on low heat for 10-15 minutes, or until custard thickens. It is done when the mixture coats the back of a spoon. 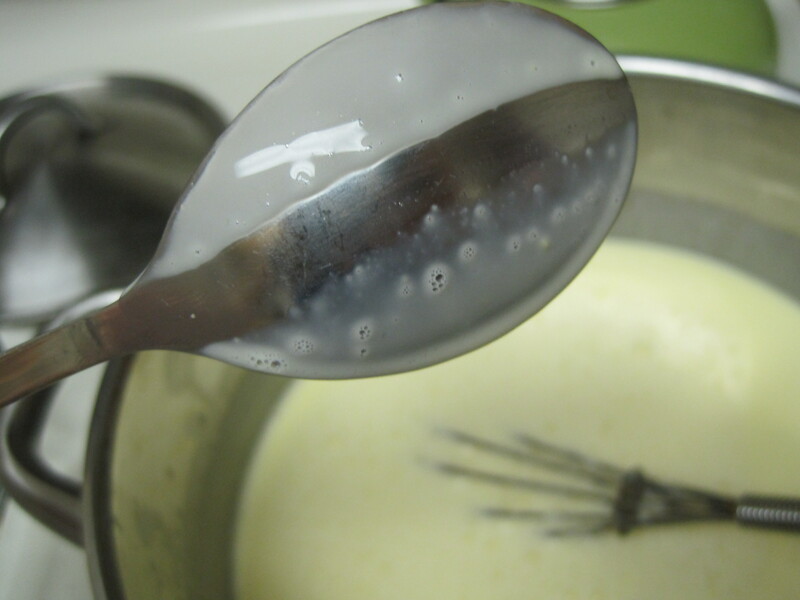 When the batter is thick enough to coat the back of a spoon, run your finger across. If the streak stays, it’s ready! 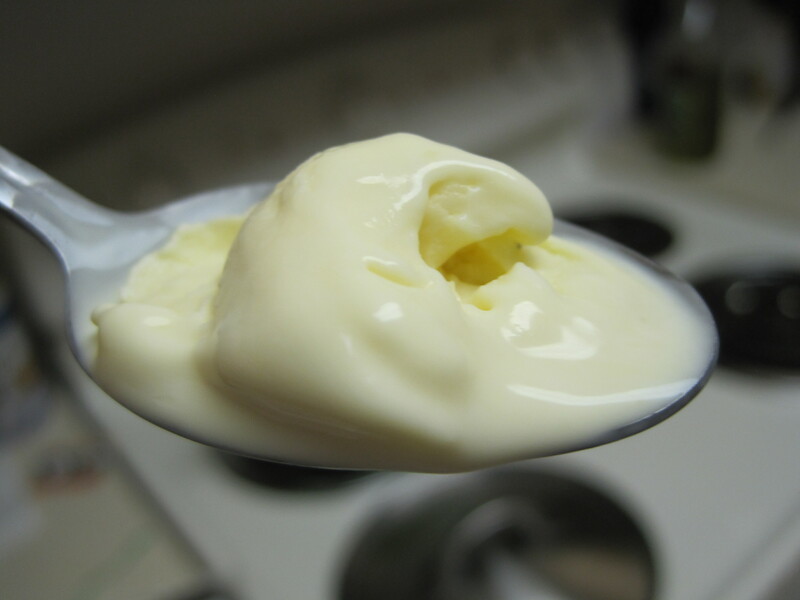 4) Cool the custard in an ice bath until it reaches room temperature. *If using an ice cream maker, switch to machine directions from this point forward. I went old school minus the electric freezer. 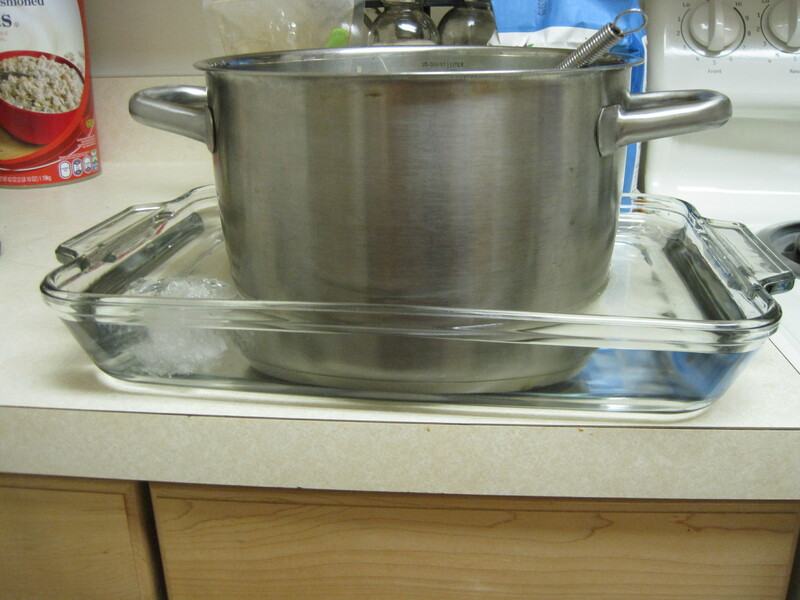 5) Pour mixture into pre-chilled metal baking pans (I used 2 round cake pans and a loaf pan. Anything with deep sides will work). 6) Cover with plastic wrap and place in freezer for one hour. 7) Remove pans from freezer and stir mixture, making sure to scrap bottom and edges of pan with a rubber spatula. Re-cover with plastic and return to freezer. It’s just beginning to freeze. 8) Repeat this step every hour for 4-6 hours, or until ice cream is stiff. This process is what adds air to the ice cream, and breaks up the ice crystals as they form. 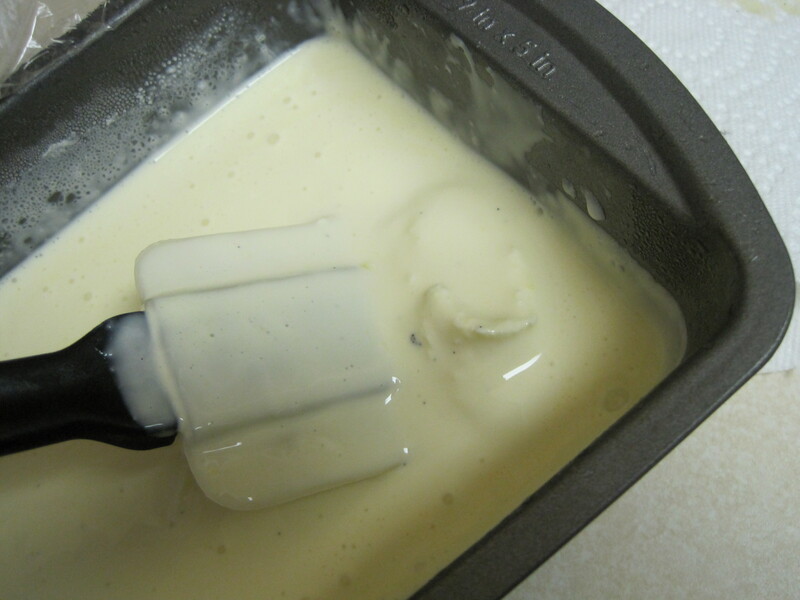 9) Store ice cream in airtight containers for up to 2 weeks.